Camilla Parker Bowles is a member of the British Royal family by virtue of her marriage to the Prince of Wales and heir apparent to the British throne, Charles. Legally, she is the Princess of Wales but is best styled as “Her Royal Highness The Duchess of Cornwall”, adopting her husband’s second designation ‘Duke of Cornwall’. Though it had a very controversial start, Camilla’s marriage to Prince Charles has stood the test of time. As Duchess of Cornwall, she assists the Prince on different official functions and she is a patron and major benefactor of several charities and similar organisations. The British royal was born on July 17th 1947 in London. Her father Major Bruce Shand was an officer of the British army and later became a businessman. Her mother was Rosalind Shand (née Cubitt). She grew up alongside 2 siblings, a younger sister Annabel and a younger brother Mark Shand. The family had homes in Plumpton, East Sussex and also in South Kensington, London. She had her early education at Dumbrells School in Ditchling village. From the age of 10, she studied at Queen’s Gate School in Queen’s Gate, South Kensington where she obtained her O-level. She was sent abroad at age 16 to the Mon Fertile finishing school in Tolochenaz, Switzerland. After completing her studies, she relocated to France and got enrolled to study French and French literature at the University of London Institute in Paris. As a young adult, Camilla lived in Kensington and Belgravia districts of London and she gained employment as a secretary/receptionist. Camilla Parker Bowles was thrown into the limelight due to her relationship with Charles, the Prince of Wales. Their love story dates back to 1971 when they were both still unmarried but made to part ways in 1973 when Charles was sent abroad on military duty. Camilla got married shortly after the Prince’s departure and thus, it was nearly impossible for the relationship to go any further. On his part, Prince Charles eventually got married to Lady Diana Spencer in 1981. It is alleged on several quarters that Camilla and Prince Charles rekindled their romance around 1980 and it continued while they were married to their respective spouses at that time. According to Prince Charles, he got back with Camilla in 1986 when his marriage to Lady Diana had already broken down. The relationship eventually became public knowledge sometime in the early 1990s and it caused a major scandal for the British Royal family. They divorced their respective spouses in the mid-90s and despite the negative publicity, their relationship continued to wax strong. The couple announced their engagement in February 2005 and a few months later, they tied the knot. Their wedding was held at Windsor Castle on April 8, 2005. Camilla Parker Bowles had 2 children from her first marital union to Andrew Parker Bowles. She welcomed her first child Tom Parker Bowles on December 18, 1974. Her second child Laura Rose Lopes (née Parker Bowles) was born on January 1, 1978. Both of Camilla’s children were raised in the Roman Catholic faith of their father, though she remained an Anglican. Tom Parker Bowles is a renowned food critic, writer, broadcaster and entrepreneur. He has authored several bestselling cookbooks and also contributes to several international magazines as a food columnist/editor. He equally owns a food and beverages company. Camilla’s daughter Laura Rose Lopes studied at Oxford Brookes University and currently works as an art curator. She is a partner at the Eleven gallery in Twickenham, London. Camilla also has many grandchildren. The net worth of Camilla, Duchess of Cornwall, is pegged at an estimate of $5 Million (£3.54 million). It remains unclear the extent to which her being part of the royal family may have contributed to this whopping sum. However, having been born into an aristocratic family, Camilla is known to have always had a life of affluence. 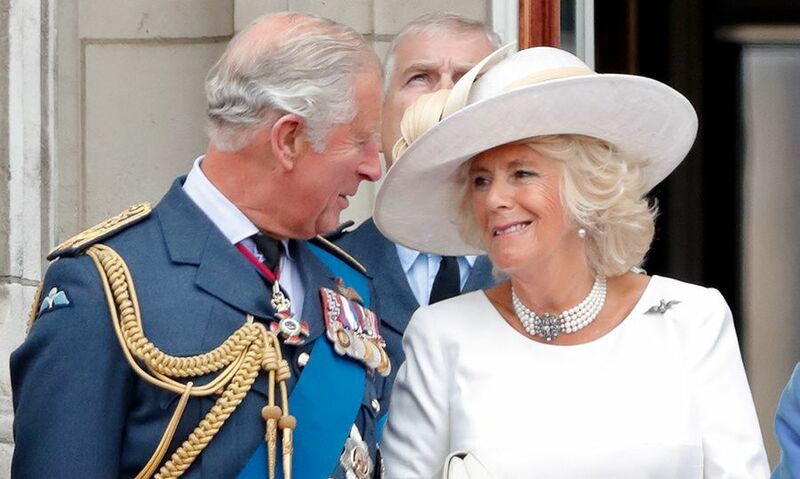 By virtue of her marriage to Charles, the Prince of Wales, Camilla’s official expenditure is fully covered by the Duchy of Cornwall, the private estate of Prince Charles. The Duchess of Cornwall is also a well-known philanthropist and she is known to be involved in diverse charities. Camilla Parker Bowles stands at a height of 5 feet 8 inches (173 cm) and she maintains a pretty trim physique for a septuagenarian. She has gorgeous blonde hair which has become one of her most distinctive features over the years.